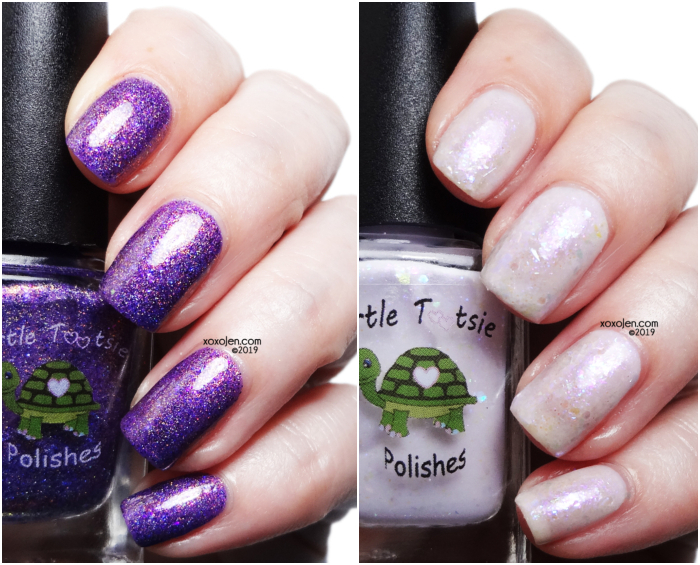 The All The Purple Polish facebook group will have its first group customs available on Feb 9th at Turtle Tootsie Polish! A purple microglitter with copper flecks and UCC flake. Shown in two coats with topcoat. I love the sparkle in this and the way the copper bursts through the purple! A barely lavender crelly packed full of iridescent flakes. Shown in three super thin coats with topcoat. 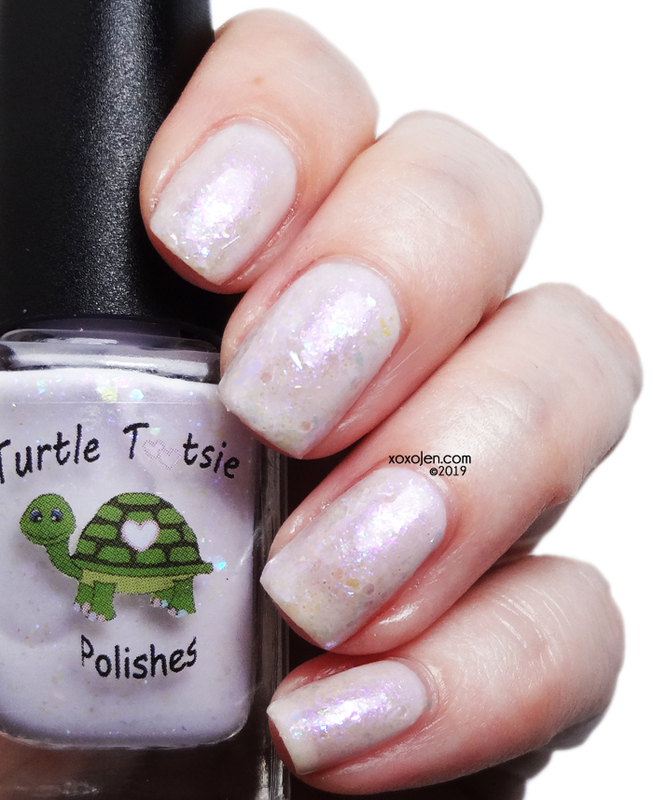 The creaminess of this polish is fantastic, yet it is sheer enough to let the flakes shine through!